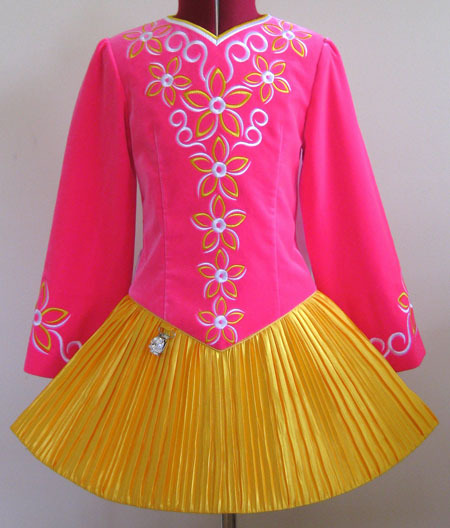 Bright fluro pink velvet bodice and sleeves, with yellow and white floral embroidery design. 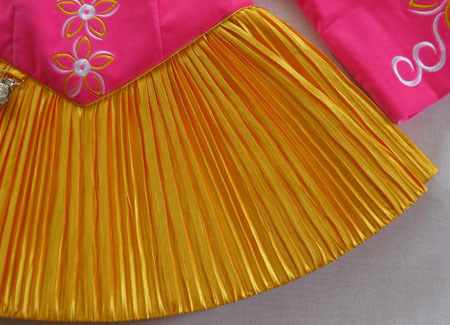 Bright bumblebee yellow pleated skirt. 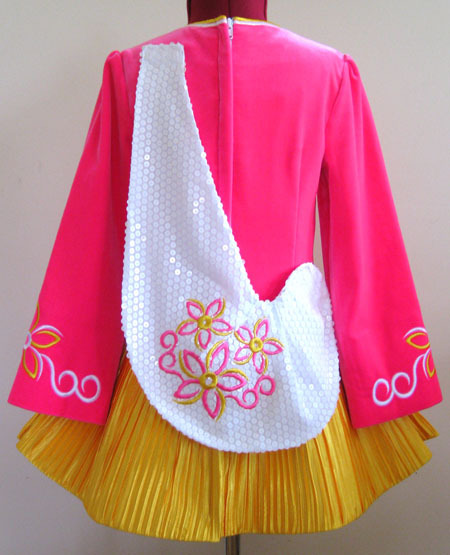 Shawl constructed from pretty white sparkly lace overlay with matching pink and yellow embroidery design.